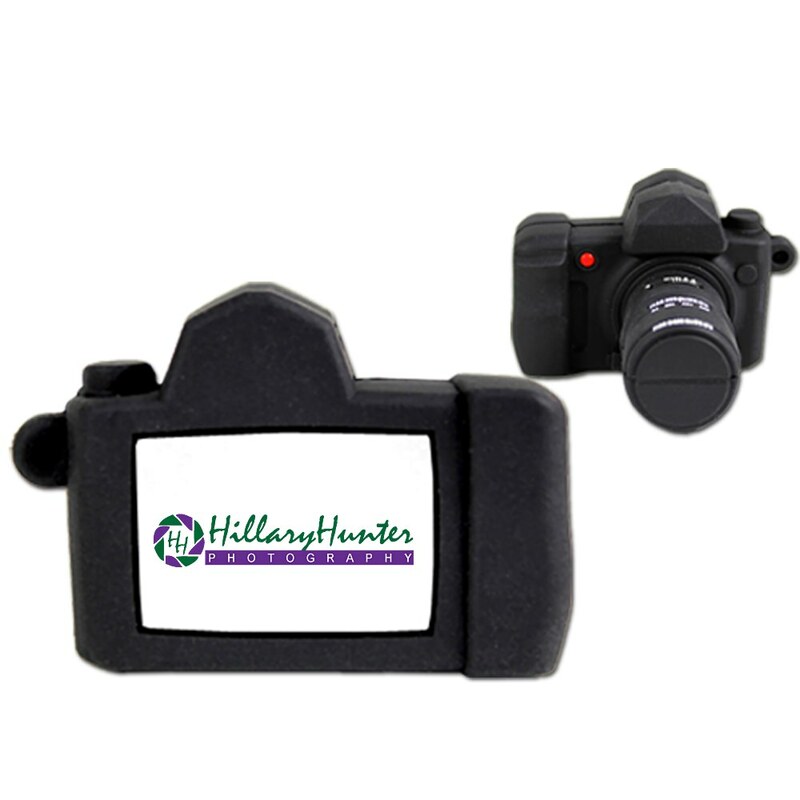 Our Camera USB is the perfect promotional device for photographers who want to make a statement! 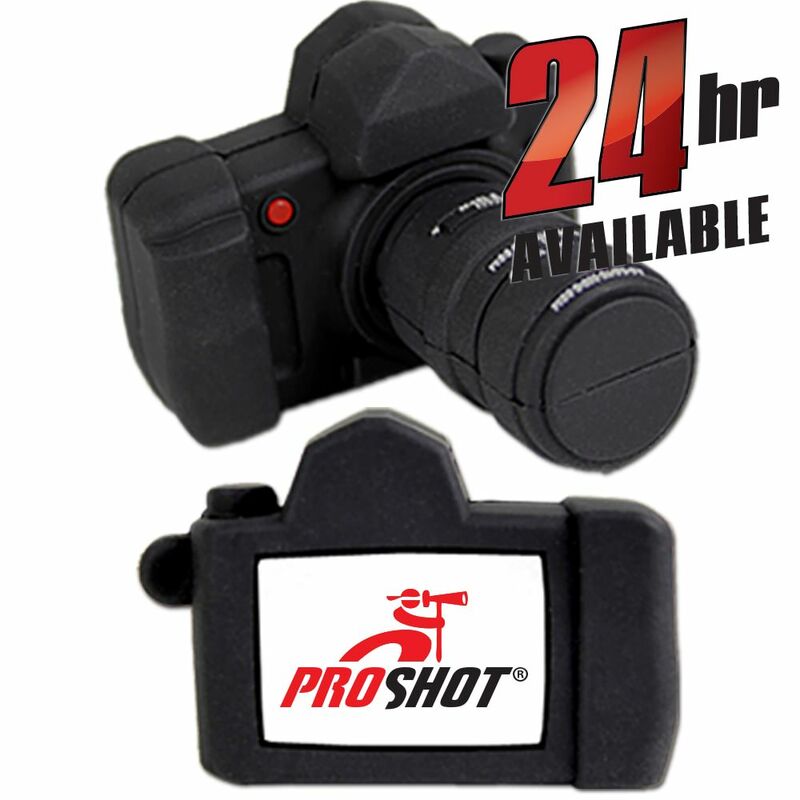 Made out of custom molded soft black PVC, this camera-shaped drive comes with a key loop for easy transport. Make your logo worth a thousand words by printing on the back of this drive with our FREE 4-Color Printing! This drive also comes with FREE Data Preloading: Load up to 100MB of your photos into this little shutterbug! 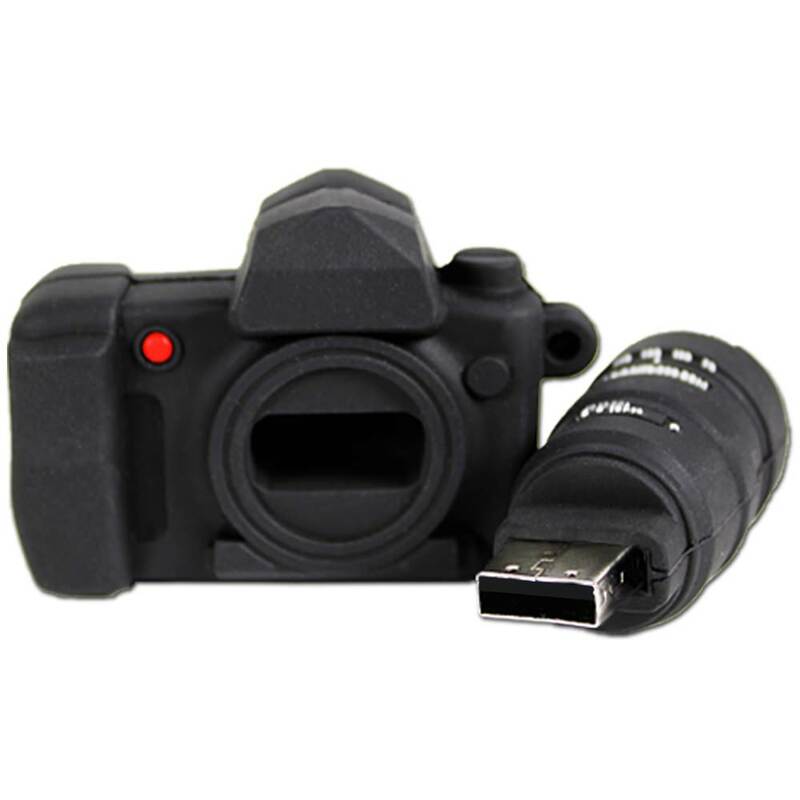 The custom Camera USB comes with FREE shipping. Turn times for customizing your drive are Standard (10 business days), Express (1-7), or 24 Hour availability. Turn Times: Express in 1-7 Business Days, Standard in 10 Business Days. 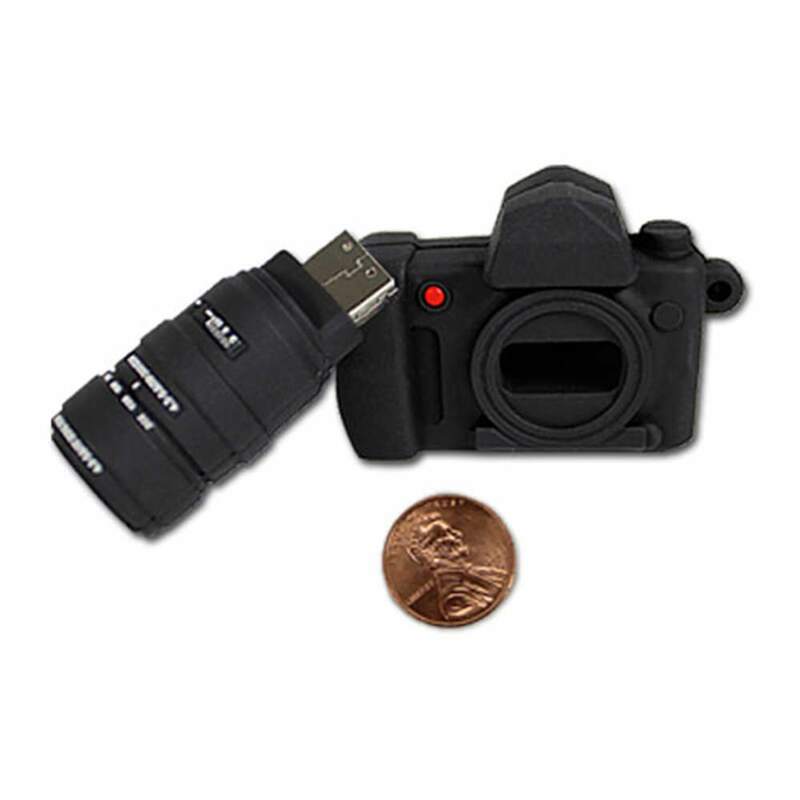 The perfect USB for shutterbugs and photographers, our Camera USB custom drive offers a fun design and powerful data storage capacities in one unique package. 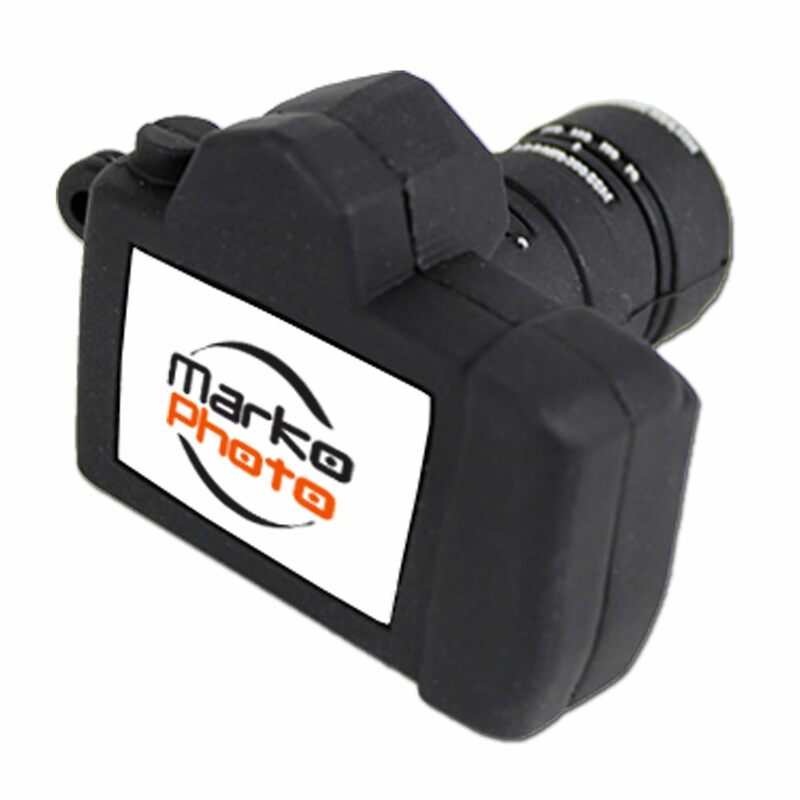 Shaped like a camera and made out of custom molded black PVC, this custom drive comes with FREE 4-Color Printing. A picture is worth a thousand words, and so is your logo when it’s printed on the back of this eye-catching customizable USB! The Hi-Speed USB is protected inside the lens of the camera and is easy to access whenever you need it. The Camera comes with a built-in key loop, so you can hang this funky little drive off of a belt loop, keyring, strap, purse, backpack, or camera bag. It comes with 100MB of FREE Data Preloading. Preload this drive and you’ll have plenty of room left to store all your photos: The Camera comes with data storage capacities ranging from 512MB to 32GB! It has a shock resistance of 1,000G, up to 10 years of data retention, and a limited lifetime warranty. The Camera is compatible with PC, Mac, and Linux. The Camera is available with FREE shipping. The turn times for customizing your Camera USB varies: It can take up to 10 business days with Standard or 1-7 business days with Express. 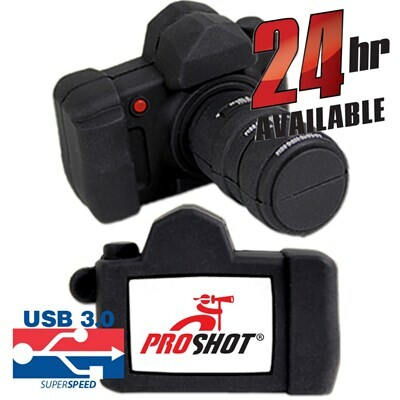 Need your Camera in a hurry? It can be available within 24 hours! Don’t wait for it to “develop”: Get our 24 hour option and watch it spring to life as fast as a Polaroid!